The high definition version of ITV's classic drama channel ITV3 has switched to a UK spotbeam, reducing coverage outside of the UK. 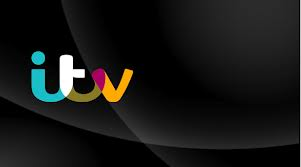 ITV3 HD, which is distributed on satellite as part of a pay TV carriage agreement with Sky, moved from its previous home on a pan-European transponder to sit alongside UTV HD and STV HD on a UK spotbeam transponder Astra 2F, frequency 11068, vertical polarisation. For Sky users in the UK, the change should go unnoticed, with the Sky EPG pointing the channel's new frequency. A small minority may need to reboot their receiver. 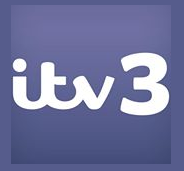 For expats, it means reception of ITV3 HD becomes as difficult as reception for the free-to-air ITV3 standard definition service and the other main UK television channels. a516digital is often asked by readers if a station will switch to UK spotbeam in the future. This level of information is however usually not in the public domain, and may happen without prior notice. Tests have recently been taking place on one of the transponders previously used for ITV services with different Forward Error Correction (FEC) rates. Changing the FEC can increase the amount of bandwidth available for services, but makes reception in fringe reception areas more difficult, where error correction is important. Should the tests be successful, in that reception within and around the edges of the UK and Ireland is not impacted, then, if FEC changes are adopted on a live transponder, it might soon become more difficult to lock on to a UK overspill television signal in some parts of Europe.